We are heading into what we affectionately call “Home Show Season” here at the shop. This means that from January through April we spend a lot of our time out and about meeting potential customers and exhibiting our products. We also get the opportunity to see many familiar faces as past customers stop in to say “hi” at the different shows. It is wonderful and exhausting! 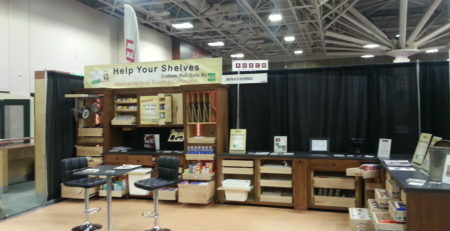 For those that have seen our exhibit, you know we set up a big display full of kitchen ideas. We even have some days where we tear down the display in the morning and take it directly to the next event. Here is a list of what we have coming up. I love to cook and love convenience. 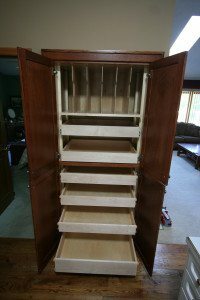 I met Joe Otto at the Mpls Home and Garden Show in 2014, and scheduled a consultation. 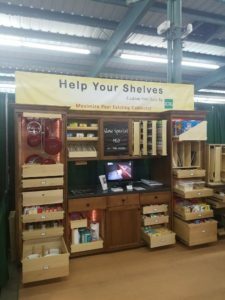 He drove many, many miles in a snow storm to meet with us and gave us honest and impressive ideas, and impressed I was with the roll out shelves he installed for my husband and me back in March 2014. My husband and I moved to an “open concept” condo and lack cupboard space and convenience. The first person I thought of was Joe. I was happy to hear he and his wife, Dory, started Help Your Shelves. 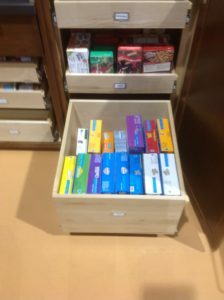 Jake (very nice guy) from HYS will be installing 6 roll out drawers in our pantry and a roll out Lazy Susan in February 2018. 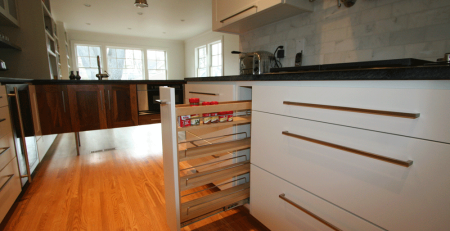 We’re so excited and plan on more projects to help make our kitchen as functional and convenient as possible. I trust Joe and his team and highly recommend HYS and Joe Otto Enterprises.